How to Get the Perfect Phone Screen Protector Application + a GIVEAWAY! 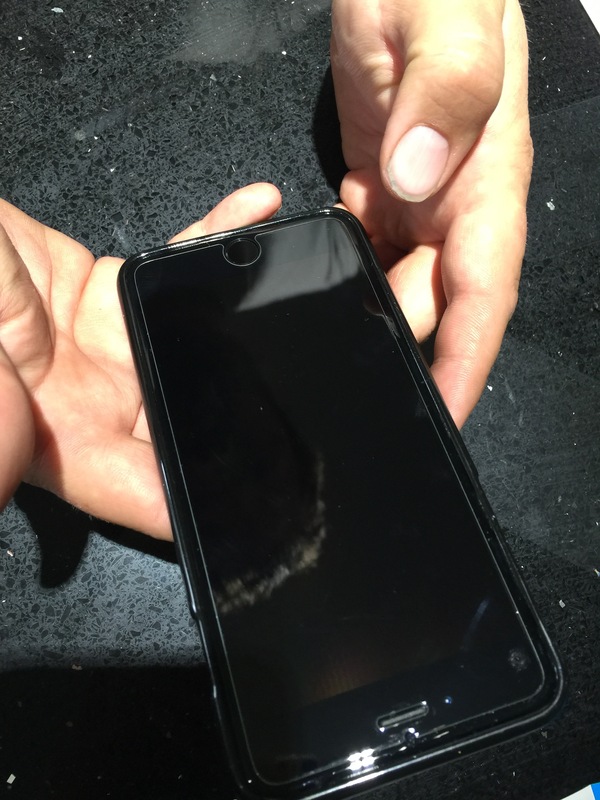 Last fall when I got my new iPhone 6 Plus, I decided I was finally going to fork out some money for a really amazing premium tempered glass screen protector. I beat the crap out of my phone and after a year it’s almost always time for a new one. My last phone was probably the worst yet. It had dents all around the edges (even though I’m religious about always having a case on it), scratches on the screen (that had somehow gone through the supposed screen protector) and it even got dropped in the toilet a few days before my new one arrived. Obviously I was determined to keep my 6 Plus in better shape. I had heard good things about premium tempered glass protectors so the hubby and I went to the mall and paid nearly $100 each to purchase and have them installed on our phones. Ouch! Wow thanks iPhone, as if you’re phone isn’t expensive enough, I had to fork out an additional $150 in cases and screen protectors just to HOPEFULLY keep it safe this time! 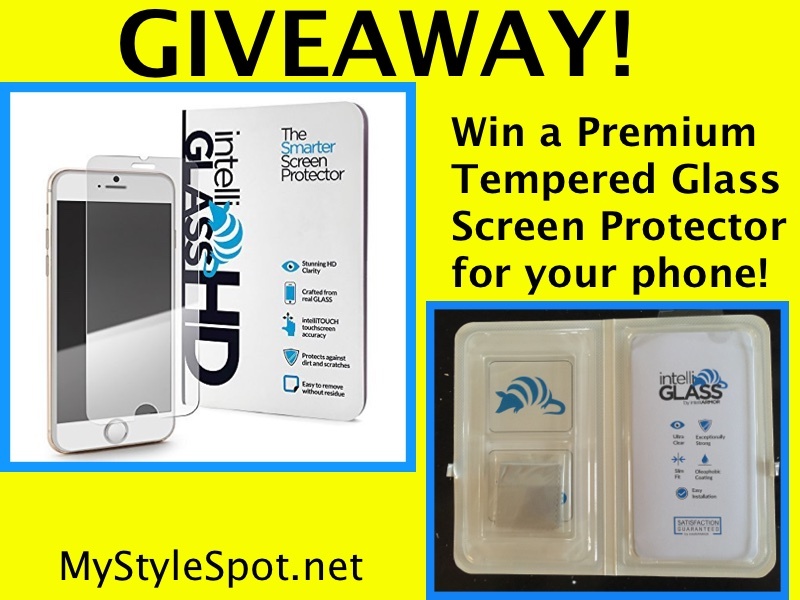 ENTER TO WIN this Premium Tempered Glass Screen Protector at the bottom of this post! Well luckily, that doesn’t have to always be the case. I messed up and I just recently found out how bad. 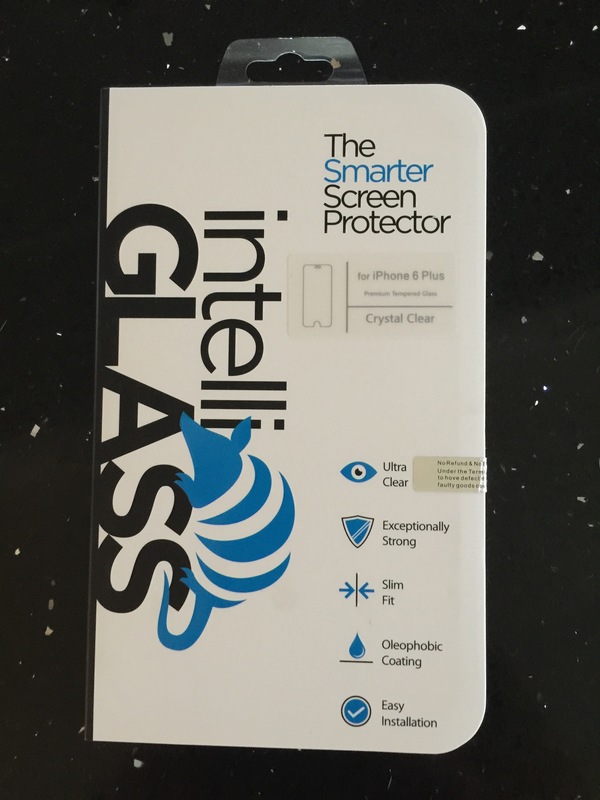 IntelliArmor offers the same quality Glass Screen protector but at pennies on the dollar! Yep, this baby is only about $10! Wow, sure beats $100 for the glass screen protector and install in the mall. If like me, you’re probably thinking when you read this, well I’d rather shell out the money to have it professionally placed on my phone. 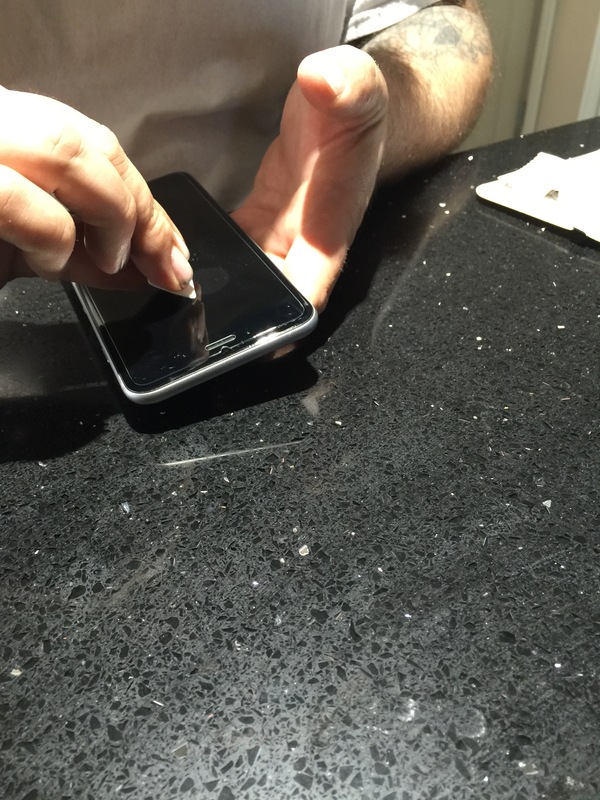 I totally understand, and I’ve had it done professional nearly every time because the couple of times I’ve tried to install a screen protector by myself, its turned out disastrously. I”m talking bubbles, bubbles, and more bubbles, oh yeah and and its been known to go on completely crooked too! 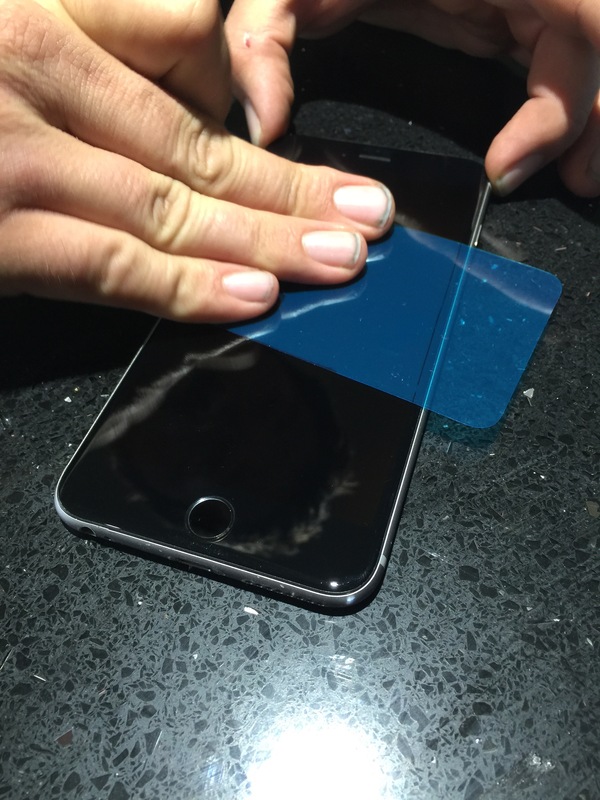 Well the IntelliGlass screen protector guarantees a smarter, easy, more successful application! (I had to admit, when I heard this, I was doubting but anxious to try it out and see for myself!) Not only that, but the ultra clear glass protector used in the IntelliGlass screen protectors are exceptionally strong, have a nice slim fit and Oleophobic coating (which means no more smudges and fingerprints on your phone). It is made to withstand hits and dings and has better scratch resistance than steel! Seriously?! This is what turned me onto tempered glass screen protectors in the first place! The silicone adhesion used in IntelliGlass also ensures the easy install as well as none of those awful bubbles! 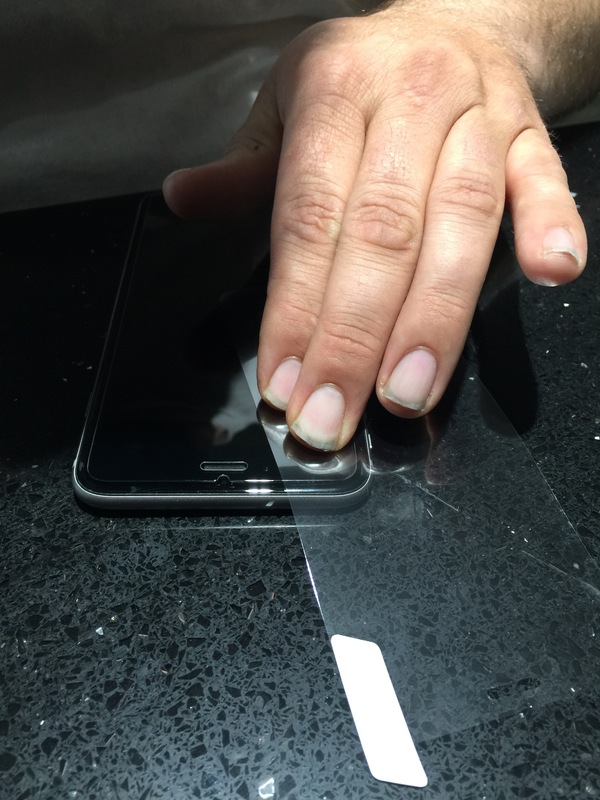 Luckily when IntelliArmor hit me up about trying out this awesome product, my husband had just broken the $100 glass screen protector on his phone. Yep, $100 down the drain just like that! Needless to say, we were both game for trying it out! 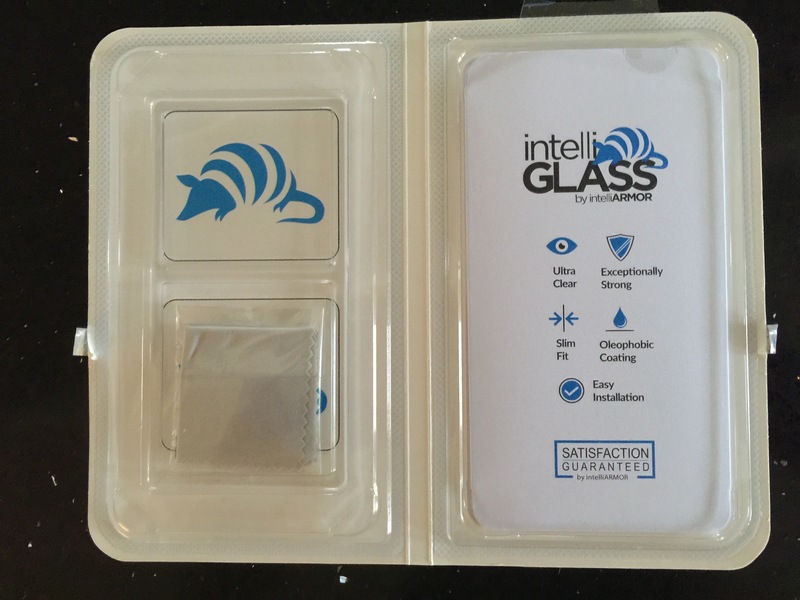 When the IntelliGlass arrived, it comes in a package with easy to read and understand install directions as well as everything you need for the perfect install, including the alcohol wipe, dirt cleaning film, squeegee card to remove bubbles and polishing microfiber cloth. So we of course put it to the test right away! 1. 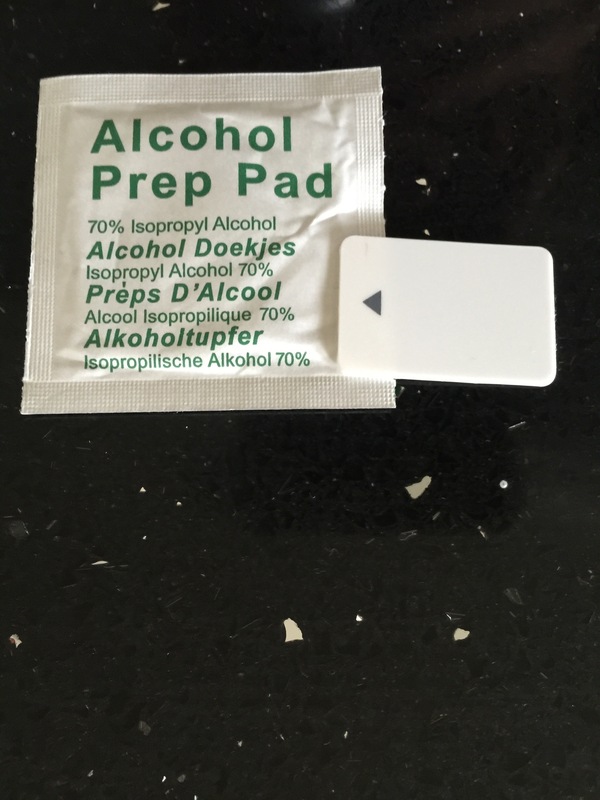 Clean phone (remove prior screen protector) with the alcohol pad. Use microfiber cloth to remove any remaining streaks. 2. Remove the lint from screen using Dirt Clean Film. 3. 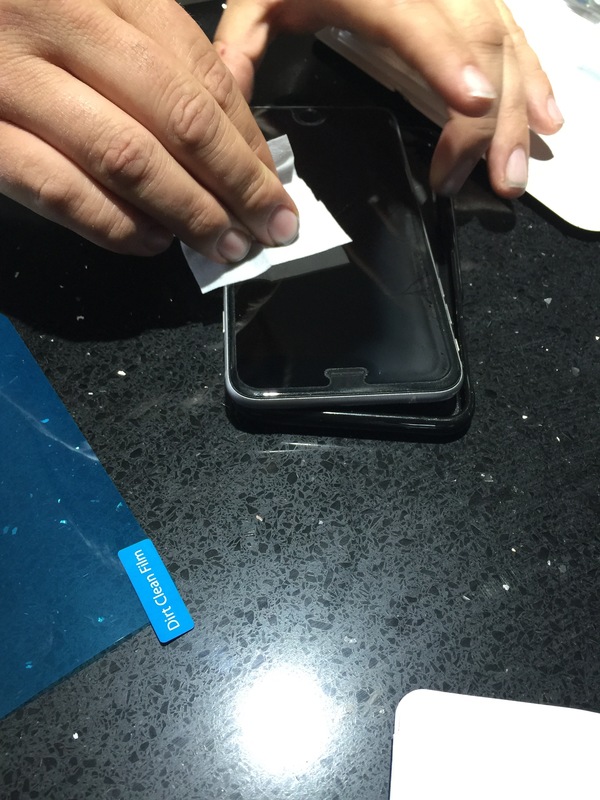 Place new IntelliArmor glass screen protector on the phone. 5. Scrape out the bubbles using the handy squeegee card. 6. 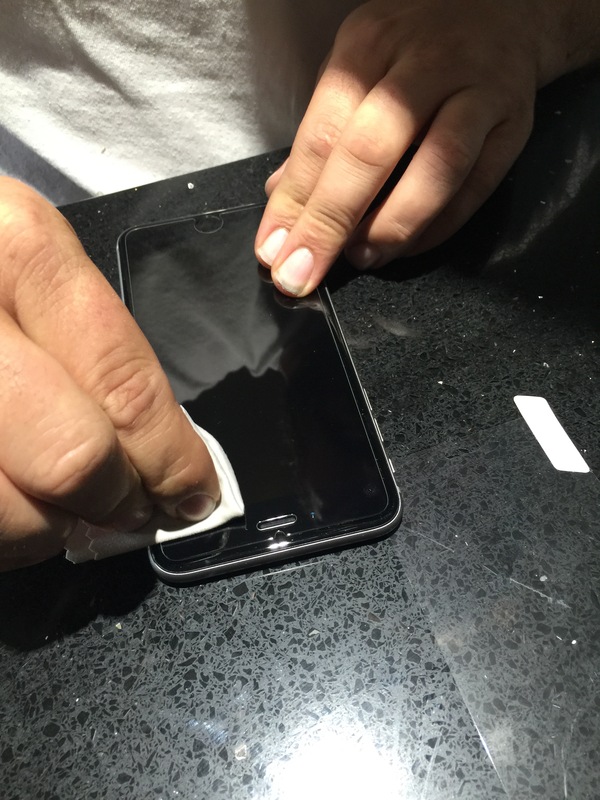 Give the phone a final polish with the microfiber cloth. (Please note faint patterns and small bubbles will disappear with 24-48 hours) – Although we didn’t have any after our install! Click HERE to see a video of the install. This install couldn’t have gone any easier or any smoother! It took about 5 minutes total and the result was a perfect install. No smudges, no bubbles, no odd placement! The phone looks clean, clear, and protected! 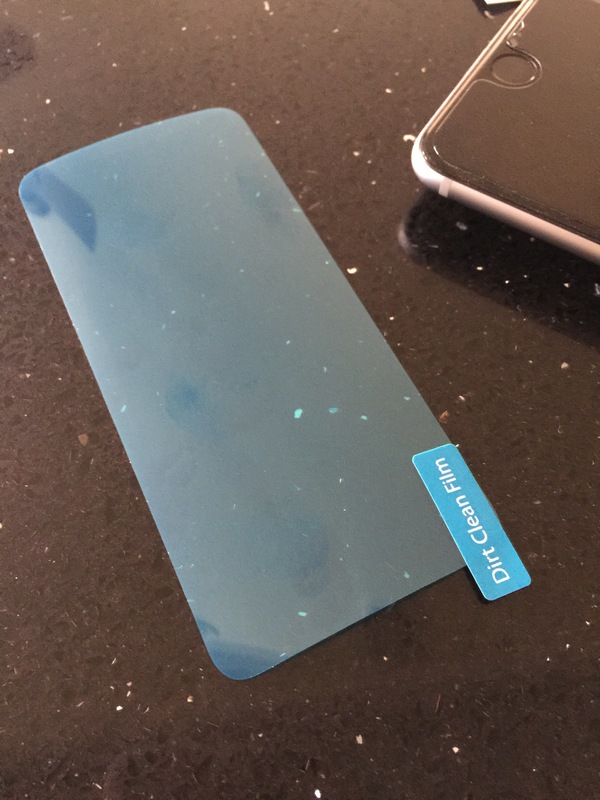 What we noticed right away is how awesome the dirt clean film is that comes with the IntelliGlass screen protector. I’ve never installed a screen protector with this before and it was amazing how much lint and dust it really picked up off the clean phone before the new screen protector placement, giving the phone a perfectly clear, beautiful, lint and dirt free screen and finish! My husband said he had used some before but the dirt clean film that came with this package was much better at getting rid of the dirt and dust than cleaning films he has used in the past! We’re both very pleased with the screen protector from IntelliGlass, and you can bet neither of us will be wasting $100 ever again on those expensive glass screen protectors in the mall! Thankyouverymuch! 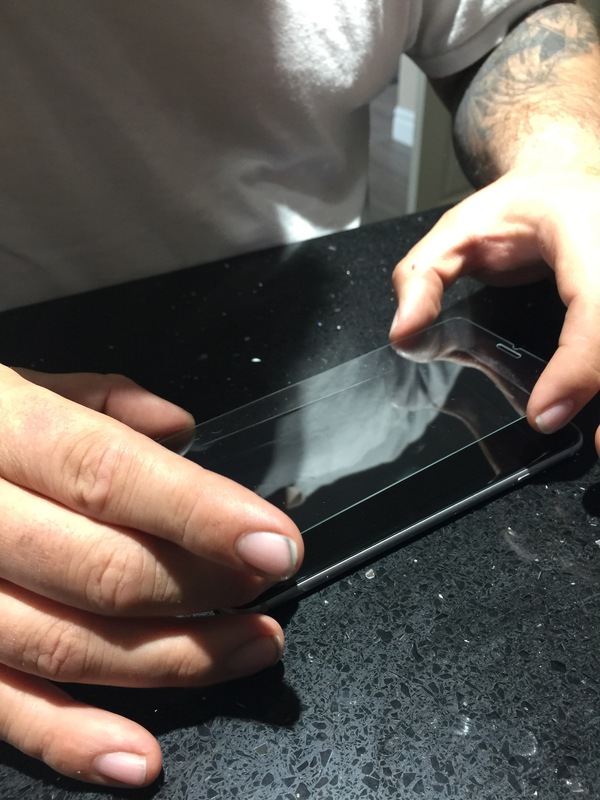 Interested in trying out the IntelliGlass premium tempered glass screen protector for yourself? Be sure to check them out today at IntelliArmor.com today or you can purchase it HERE on Amazon for only $10! Also the lovely people of IntelliArmor are letting me GIVEAWAY one of these amazing Premium Tempered Glass Screen protectors to one of my lucky readers! ENTER TO WIN a Glass Screen Protector for your phone in the Rafflecopter form below!